The recent published MSX game Multiverse has been a great success, the first batch is completely sold out. Since MICROMANCERS is still receiving mails of MSX fans who want to purchase Multiverse, they are planning a second batch. That second batch could be ready by the end June, if not before. In order to keep the same quality and price of the first batch, a minimum number of Multiverses has to be manufactured. So, MICROMANCERS opens a pre-order period that will end by February 28th. If you are interested in pre-ordering Multiverse, then write an e-mail to contact@micromancers.com stating your full name and how many Multiverses you would like. If there is a sufficient number of pre-orders, MICROMANCERS will contact, from March 1st onward, all the users who made the pre-orders providing more information about the second batch and asking for confirmation. 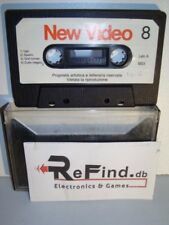 Additional information about the game, including pictures and videos as well as packaging and pricing information, is available at www.micromancers.com. Of course, feel free to visit www.micromancers.com for more information, videos and pictures. Do it, people! This game is awesome. Some users asked us about the differences of Multiverse when played on MSX and MSX2/MSX2+/MSX Turbo-R. 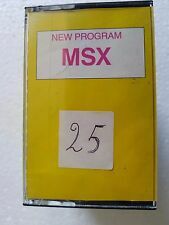 Please take into account that, if there are enough MSX users interested in the new batch, we will manufacture only the preordered cartridges. So, if somebody is interested in purchasing Multiverse, it is advisable to preorder it before February 28th. Has somebody played this game? Is it worth buying it? My copy reached me yesterday. I only did my work on the side today, the lack of sleep hit me in the early afternoon hours. Only the view to be able to continue playing at home let me hold on. I only know my family as voices behind the monitor, my dog would like to go out again. But the play holds me in its spell. Thank you MICROMANCERs for that!